Funkin's Apricots are grown in france, harvested under the summer sun and chosen for their sweet ripeness. When they press them they ensure they get all the flavour of the skin which is so important with fresh apricots. Details: Apricots from France, Varieties Bergeron and Orange de Provence. 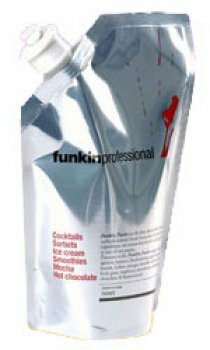 Funkin's Apricot premium puree, used by the UK's top A-list style bars and chefs, and consisting of the finest globally sourced fruits.